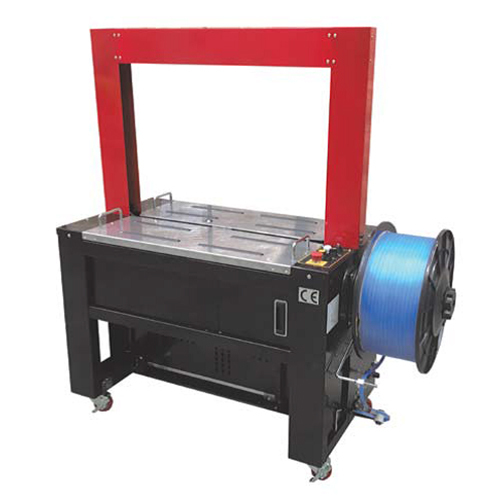 The Omni 150 Poly Strapping Machines are a fast and effective Fully Automatic machine for high volume applications. These machines automatically straps the band around the carton or product being strapped, tensions the strap tight and seals it by heat or friction weld. These fully automatic strapping machines provides a hands free operation which improves productivity and effectiveness as there’s no need to hand feed the strap into the machine before it automatically tensions and seals. This style is simple and easy to operate with the reliability and performance required from an automatic strapping machine.